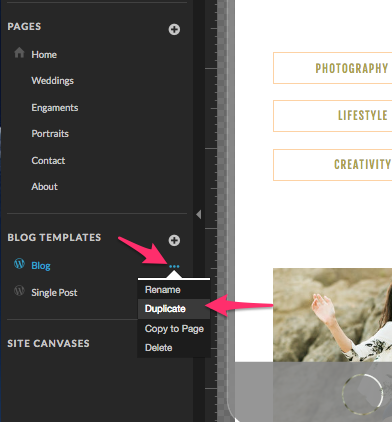 How to add a Blog Category template to display a list of posts within a selected category. A category template can be created if an alternative layout is preferred when users click to views all posts in a particular category. When creating a category template design it's recommended you create a duplicate of your "Blog" template to keep the similar functionality of repeating posts and page navigation links at the bottom. You may want to make use of the "Category Title" placeholder at the top of your category template page. This placeholder will be replaced with the title of your category. 1. The first step would be to duplicate your Blog template and rename it to help you identify the template. 2. 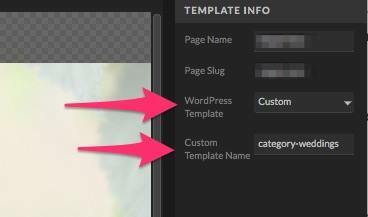 Then navigate over to the "Template Info" tab and choose the "Category" option from the Wordpress Template drop down menu. 3. 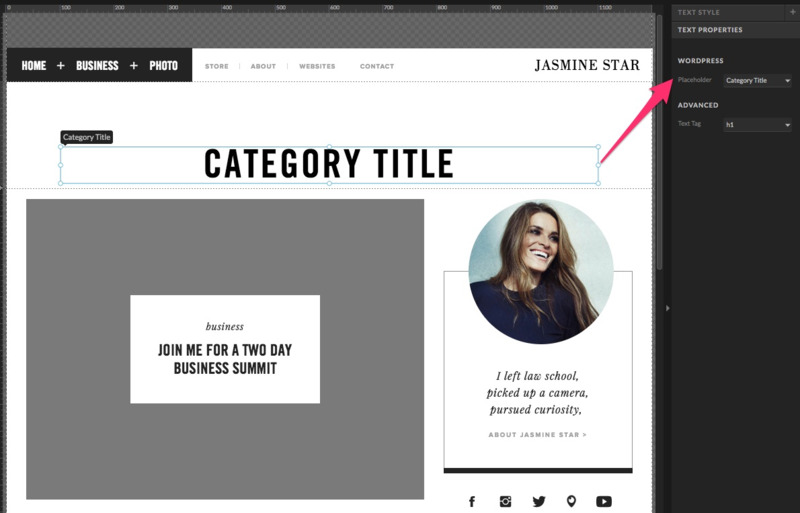 Add the Category Title placeholder to the top of your page. The canvas should have a Wordpress setting of "Static Content". You can make any design adjustments you wish and publish the updates! 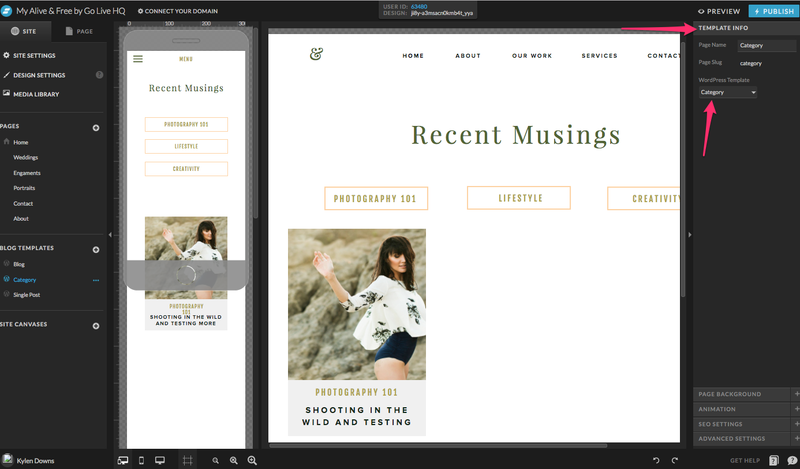 This might include changing the layout to a Side-by-Side post layout. You can create unique category listing pages for specific categories by naming the template a specific way. Name the template based upon the Wordpress category slug. In the example above the Wordpress category slug is "weddings" so the custom template name needs to be "category-weddings" for Wordpress to know to use that template layout for that specific category listing.